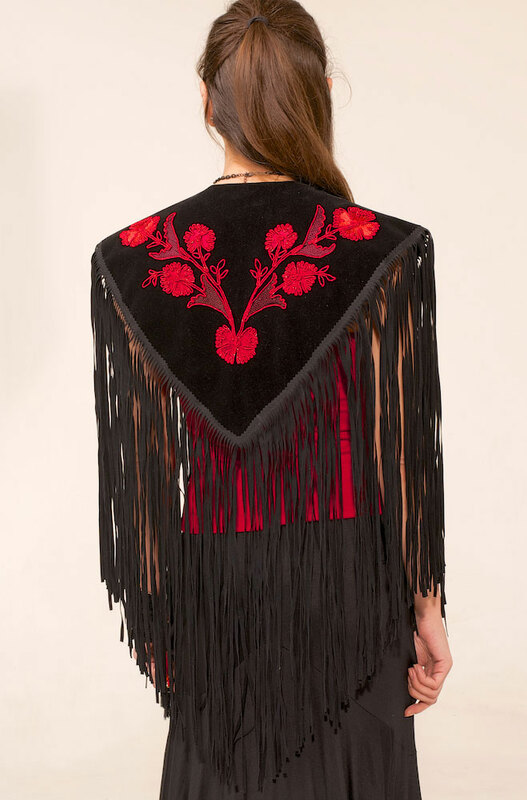 Exquisite Western Embroidered Shawl is one of our new designs embroidered in shades of warm red flowers. 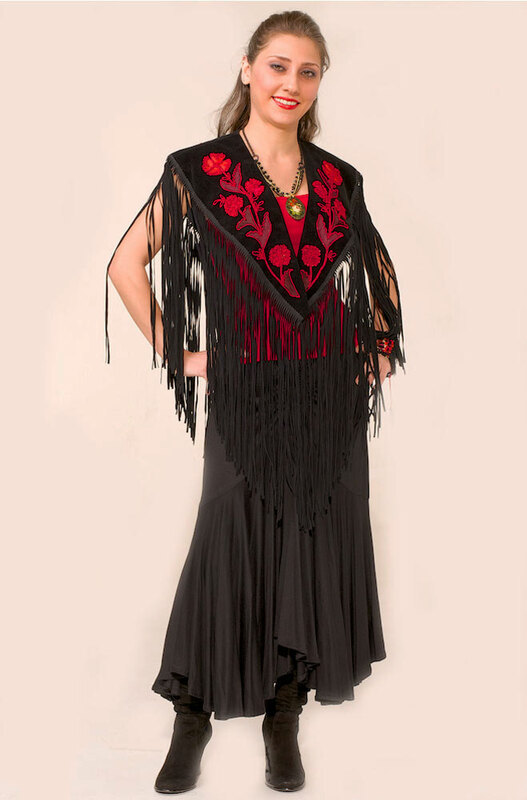 The long 18" fringe cascading down the shoulders adds to the beauty of this Exquisite Western Embroidered Shawl. 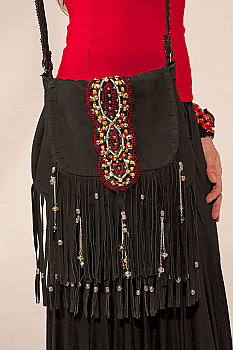 The hand made one of a kind cuff bracelet, necklace and handbag that completes the look of this elegant shawl is being sold in our Western Accessories Department.